We all want to be on it. We all want to bask in the glory of the prestige, but how do books reach the New York Times Best Seller List? Well the best way to make a goal is to know how the beast operates. And surprisingly the list isn't put together by the New York Times Book Review department. (Which could be a blessing or a curse, depending) The list is actually put together by the News Surveys department. The list is based on weekly sales reports obtained from selected samples of independent and chain bookstores, as well as wholesalers, throughout the United States. The sales figures are widely believed to represent books that have actually been sold at retail, rather than wholesale figures, as the Times surveys a number of actual booksellers in an attempt to better reflect what is actually purchased by individual buyers. So how does one get their book on the Best Seller List? Most of the efforts in increasing sales has to do with marketing and public relations. The more hype you create through interviews, book signings, and the efforts made by your publisher/agent. Each play a large roll in creating a buzz within the book world, which in turn will get more and more of the individual buyers interested. So it is important to learn the steps to marketing that manuscript as it is knowing how to write it. The NYT list changes weekly, which shows us it is possible. 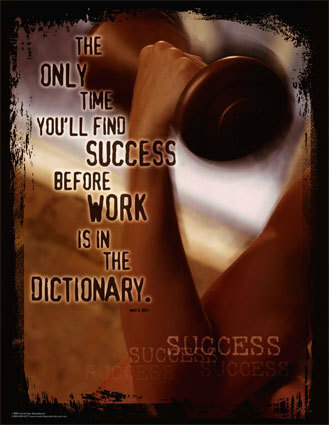 And a lot of is comes down to timing and effort. Best of Luck, and I hope on day to see you on the list. WOW! 's Winter 2008 Flash Fiction First Place Prize goes to Cynthia Boiter, an award-winning freelance writer whose work has appeared in Southern Living, Woman's Day, and Family Circle, among other national, regional and local publications. When she is not writing, she is a member of the adjunct faculty in the Women's Studies Program at the University of South Carolina. She is currently working on a book with her husband on beer and travel, tentatively titled, Bob, Beer and Me. If you haven’t already read Cynthia's story about a brief conversation between a husband and wife that says more without words than with them, please do so: Dobie. And don’t forget to come back and read our interview with this talented woman, whose well-deserved first place win should come as no surprise. WOW! : Cynthia, you have an impressive, award-winning writing background. Did you have any idea you might win first place in our contest? Cynthia: I actually happened upon this contest the evening that it was due and decided to give it a shot – so I banged this piece out, sent it via email to one of my daughters to see if it made any sense, and decided to give it a shot. I had no idea what to expect – I hadn’t even read any of the previous winners at that point because I was pressed for time. WOW! : Your decision to give the contest a shot definitely paid off! Your story contains excellent descriptive passages, especially the use of color. Do you have any of the creative interests in your personal life that Timbro is trying to steer Dobie away from? WOW! : Our readers may beg to differ on that, Cynthia, as you have a talent for creating such believable characters. How did the characters of Timbro and Dobie come about? Cynthia: When I was a young woman I read Alice Walker’s In Search of Our Mothers’ Gardens, and that was, I believe, the single most influential book of my life. Being from the South and a descendent of families who worked the land for little pay, I realized when reading Alice, that the women in my own background may have been talented artists who had no canvasses for their artistic abilities. They couldn’t have afforded the tools and provisions to pursue creativity, nor would they have had the time or the encouragement, given that they were mere “women”—so in all likelihood, like Alice’s mother, they captured their canvasses wherever they could – in the garden, in the clothes they sewed for their families, in their pantries. This realization both thrills me and breaks my heart. So, maybe with stories like Dobie’s, I can channel a little of the creative energy of my own ancestors onto the page. WOW! : I like how the story ends, with Dobie humming, as if she knows something her husband doesn't. She's already so creative, perhaps without realizing it. What would you tell Dobie if you could tell her anything? Cynthia: First of all, I would talk to Timbro! I’d give him a little lesson in how lucky he is to live the life that Dobie has made for him. I’d ask him where he thought his meals and his clean clothes and happy home would come from if Dobie weren’t there doing the equally important work she does – and how would he be able to do his work if Dobie didn’t do hers. Being a woman, Dobie, of course, is already aware of this. I would tell her 3 things: To keep the faith; to teach her daughters well; and to put back secret money of her own whenever and wherever she could! WOW! : Excellent advice for both of them, especially for women who aren’t allowed to have much control in a relationship. You are a talented writer in all fields, but which is more challenging for you to write: fiction, non-fiction or poetry? Cynthia: Well, I’m not a good poet – I’m totally unschooled in it and, while I had some success when I was young, I think that was when the bar wasn’t very high because I haven’t been very successful as an adult. That said, sometimes poems just hit me in the face and I have to write them down. I suspect they’re very amateur. In terms of fiction or non-fiction – I have to want to write something to do it well. Non-fiction isn’t difficult, but I’m my own worst enemy and I’ll procrastinate until the last minute just like in college. With fiction though, I sometimes feel like the words just come from somewhere else and my fingers just type them out. I love that, but I can’t always count on it happening. So, I’m probably equally challenged by all three. WOW! : Very interesting and something that other writers can relate to. What themes do you like to explore in your writing? Cynthia: Well, obviously I love giving voice to women whose voices may have gone unheard, and I really like looking at the interaction of individuals both with their social environment and with the earth itself. So I often write about people who live off the land in one way or another – I almost always write about Southerners – real, working-class Southerners – not those media created Belles, but real women with dirt under their fingernails. And the other thing that I really enjoy doing is looking at a moment in time – one moment or decision or intention that illuminates a step forward for the character—an emotional or intellectual or spiritual moment of growth. WOW! : You definitely captured such a moment in Dobie. Is there any type of character you haven't yet written about that you'd like to create? Cynthia: Well, I rarely write about men, although I’m working on a short story about a boy now and I finished one about a man who had totally repressed his feminine side due to an incident from childhood, not long ago. What I want to do is to take a look at a typical man—in many ways, one like Timbro – and explore why they are the way they are. I want to look at all those repressive, stressful messages that living in a patriarchal society piles on them – and I want to find the authentic self in his character – I want to help him be free. WOW! : It’s always wonderful when authors try to capture a character from a different perspective like that. Now, what type of writing inspires you? Cynthia: I don’t want to sound flip, but “good” writing is what inspires me. You know, the orchestration of words – the flow and construction of a beautiful sentence and the use of the most absolutely precise word. That floors me. So, sometimes it Anna Quinlan in the back of Newsweek, and other times its Barbara Kingsolver or Zora Neal Hurston. I like it when words make me feel them. WOW! : What advice do you have for aspiring women writers? Cynthia: Be patient with yourself. Try to not beat yourself up but let the muse take you where she wants you to go – not where you think you should go. I, just 5 months ago, came off of a period when I could hardly write. Five years ago my family experienced what I call the “year of death” – my Dad and my Brother and our Golden Retriever all died within a few months of one another and I think I went sort of numb. I wrote very little during that time and I got to the point that I didn’t identify myself as a writer. Combined with that is that I also have what I think may be a real fear of both failure and success, which takes constant rationalization on my part. Then suddenly, I was entering my 49th year of life and I guess the ice cracked. I started writing and I promised my daughters that I would put a collection of my short stories out there and see if anyone thought they were worth reading – and that I would do that before my 50th birthday – which is just about 6 months away. A year ago I wouldn’t have agreed to that kind of timeline – but now, I think I’ll follow through. WOW! : I really hope you do follow through and I think a lot of readers out there hope the same thing. It’s good that you were able to return from a difficult period in your life back to pursuing your talent. Also, I know you're working on a book with your husband. Are there any plans for a novel in your future? Cynthia: Oh, I’ve started a couple but then put them aside. But, your site and this contest have encouraged me – maybe it’s time to pick them back up again! If you haven't done so already, please read Cynthia's story, Dobie. And remember, every Tuesday we'll be featuring an interview with one of the top 10 winners from the Winter 2008 Flash Fiction contest. So, be sure to check back and see who's up next!For more details on WOW! Women On Writing's current contest, please visit: http://www.wow-womenonwriting.com/contest.php. The last time I blogged for The Muffin, I wrote about places to find inspiration. Today, I'm going to offer four more ideas of obvious--but not always utilized--places to find new story ideas. Consider people you know. Are they an expert on a topic? Make of list of the experts in your life and brainstorm for ideas. A teacher from a neighboring school district is an expert chess player. I asked for his help for a story about teaching chess to kids and--checkmate! I sold a story, along with two sidebars and photos, to an area newspaper. Take a look at current fads and trends. What's hot in your community? For that matter, what is hot in a particular area you are interested in? A local school funded a 24/7 learning initiative and purchased Apple laptops for all 7 - 12 students. As a former classroom teacher--and a current substitute--I find anything relating to education an interesting topic. I interviewed students, teachers and administrators from the district and had a two-day, four-story feature in an area newspaper. My daughter works for our state economic development office and she's always giving me good ideas or tips concerning government publications. I checked out the www.info.gov website, and after surfing for a short time, I found a site where you could check out historical buildings in each state. That's when I stumbled upon an early 1900s single-room jailhouse close to where I lived. That article was published in a regional magazine. I like cheesecake. No, I REALLY like cheesecake. I've made them for fundraisers, for extended family, and sometimes, for us. After making oh-so-many cheesecakes, I've come up with several methods to avoid having the cheesecake top crack. I wrote those methods as a short "how-to" article and sold it to a cooking website. My favorite way to keep track of ideas is to use Post-It notes. But every writer should have some kind of idea notebook. I have a small memo pad that I keep by my nightstand. In my purse, a notebook with a sturdy cover--purchased from the $1 bin at Target--lets me jot down ideas as they come to me when I'm away from my desk. I keep a small notebook in the glove compartment of the car, too. Because you never when --or where--the inspiration bug will hit! Looking for a little something to get the imagination going for a story? A mental poke to jumpstart your writing? How about a prompt for size? A simple online search will produce numerous links to more writing prompts than you can imagine. Below are some sites to check out for inspiration. One of my favorites is the OnceWritten.com’ s Writing Spark newsletter. With a choice of either the paid daily or free weekly newsletter, you can receive prompts ranging from story ideas to conflict situations that will get you back on the writing path. And as a special bonus to paid members of the Daily Writing Spark newsletter, they can enter up to three entries in the bi-monthly Writing Prompt Contest. Milli Thornton’s site Fear of Writing.com encourages writers with Fertile Material, sample prompts from her book, Fear of Writing. A subscription to her newsletter, Fear of Writing Gazette, provides free writing contests based either on the Fertile Material prompts or selected writing challenges set by editors Jennifer Turner or Milli herself. At Writer’s Digest.com, clicking on the ‘Tips & Prompts’ tab at the top of thehomepage takes you to their Writing Prompts. Selections are listed chronologically and there’s a direct link available to the WD Forum if you want to post your response, giving you the opportunity to see what others have submitted. Finally, at CreativeWritingPrompts.com, pointing your cursor at one of the over 200 numbers listed reveals a pop-up box with that particular number’s prompt. That’s almost a full year’s worth! So if you’re stuck in your writing, get prompts. They may provide the boost you need for that next story idea. Today, while watching my three-year-old son push his old, battered, blue engine along the tracks of a train table at Toys ‘R’ US, I ran into an old writing buddy. As her son joined mine at the train table, we started talking about, what else, writing. The topic soon turned to the value of writing classes. Why do we spend money on writing classes or programs? I’m an ardent supporter of getting all the support that you can use and afford in your writing. I’m currently a student with the Institute for Children’s Literature and have a lot of faith in the program and my instructor. As I spoke with my friend at the toy store, I explained to her why I was willing to shell out the dough for my writing program. Simply put, I knew I wanted to become a professional writer and publish books for children, but I didn’t have a clue of how to do it. Not to mention, the confidence that I had in my writing at that time was at a deficit and I needed the support and eye of a professional. The flexibility that the ICL offers as a correspondence course was also a great selling point. So for me, the choice to enroll at the ICL was easy. My writing buddy took a different approach to achieving her writing goals. She is reluctant to spend a large sum of money for a writing program. After taking an online course with Writer’s Digest, she opted to enroll in a short-term continuing education class at a local university. For her, the benefits of working with an instructor and other writers are very important. Though the time commuting to and from her class is tiring – she’s a single mom and works full-time – the camaraderie of the group is very rewarding. And the cost of the class doesn’t pinch her budget – too much. The real test, in my opinion, of the value of writing courses, is whether your writing skills improve as a result of having participated in the course. Do you take away skills that enhance your craft, thus, your chances of breaking into print? Personally, I feel that my knowledge, skills, and confidence as a writer have enhanced tremendously since I started with the ICL last year. As for my friend, she’s happy with her class and the friendships that she’s made, but is looking for a little more – something more concrete – that will help her take her writing to the next level and learn about the publishing world. So, what do you think about writing programs and courses? Do they add value your to skills and success as a writer? I’d love to hear about your experiences with writing programs of all stripes – MFA, correspondence, continuing ed, online, writer’s workshop, etc Does it pay to invest time and money into writing programs? Are some more useful than others? 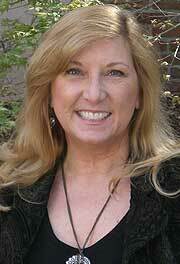 Today, I am guest blogging at Maggie Marr's blog. She's the author of Hollywood Girls Club and Secrets of the Hollywood Girls Club. Pop by, check her out, and leave some WOW! blog love. Guest blogging can be a great way to get your name out to a new audience. It allows you to promote your product or service, and helps build your platform as an expert in your field. Hosting a guest blogger can add variety and interest to your blog, provide new information to your readers, and give you a break from having to create your own content for a day. Overall, it's a win-win situation. When you receive an invitation to appear as a guest blogger, there are a few things you need to do to make it a good experience for you, your hostess, and her readers. Just like the etiquette for attending a dinner party, find out if there is anything you can bring for the table. Does your hostess want you to write about a topic of her choice? Is she planning to send you a list of interview questions to answer? Is she giving you free rein to write whatever you want? Read at least one month of previous blog entries. See what your hostess talks about. Is her tone humorous or serious? Does the blog focus on providing entertainment or information? Who are her readers? Read the comments sections of the most recent posts to get a feel for what motivates her readers and gets them engaged in responding. What about the use of language? Is it academic, casual, or trendy slang? How long are the posts? Does she include resource links, pictures, or video? Taking the time to assess her writing space will help your turn out a post that suits her needs and promotes you well. 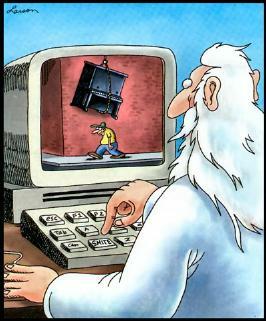 This is where you put your fingers to the keyboard. Of course, what you write about will depend on the arrangement you make with your hostess. If you are answering interview questions, keep your answers brief and interesting. If you are promoting your expertise, provide some solid take-away information for her readers. If you have carte blanche, try to find a way to incorporate your promotion with that of your hostess. Using an anecdote to relate your story to hers in some way will help you stay close to the theme of your hostess' blog. DO let your personality shine through in your blog post. DO check and recheck for typos and grammar errors in your post prior to sending it to your hostess. DO monitor her blog during your guest day and respond to any comment posts. DON'T get into a flame war with any of her readers. DO promote your guest blog day on your blog and to your list. DON'T forget to thank your hostess for the opportunity. DO reciprocate and invite your hostess to guest blog on your site. Talk about boiling things down to their essence. I recently learned of an interesting book called Not Quite What I Was Planning: Six-Word Memoirs by Writers Famous & Obscure. Complied by the editors of online magazine SMITH, it contains over 1,000 six-word memoirs, including additions from many celebrities including Stephen Colbert, Jane Goodall, Dave Eggers, and more. "Couldn't cope so I wrote songs"
"Revenge is living well, without you"
"I asked. They answered. I wrote." "70 years, few tears, hairy ears"
"Naively expected logical world. Acted foolishly". "Never really finished anything, except cake"
"Extremely responsible, secretly longed for spontaneity." "No wife. No kids. No problems"
“I like big butts, can’t lie”. Can you tell your story in six words? SMITH is collecting submissions for their next six-word memoir book. It may be fun to give it a try. 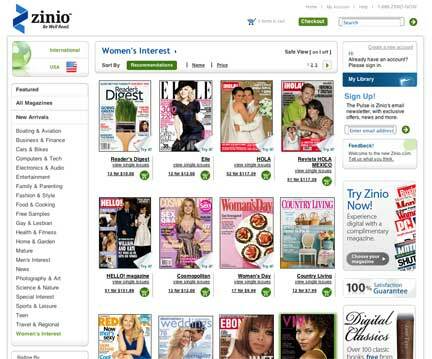 Did you know that digital magazines are booming? It’s a market that has been out for less than five years, but it’s just now beginning to take off, and I can understand why. Have you ever wanted to read a magazine right now, at the very moment you think about it, but you can’t get to the bookstore, newsstand, or market? I know I have. Well, now you can go to a virtual newsstand and purchase that publication to view immediately. Not only can you read your favorite magazine right away, you can also interact with the content. Some magazines even go a step further--adding video and audio to the mix. I know nothing beats sitting down with a magazine and leafing through the glossy goodness, but it’s great to have that option available at your fingertips. What does this mean to freelance writers? In my opinion, I don’t think it will affect us at all. In fact, it may help. Statistics from "Digital Magazine Study" show that readers are more likely to visit advertiser’s sites on a digital version as opposed to print. That means that publishers can track the effectiveness of ads in real time--and we all know that a magazine with a lot of ads has more money to spend on freelance writers. In addition, writers may also receive extra payment for publishing the same piece online. Bonus! But are readers willing to make the total switch? I still enjoy curling up with a good book or magazine, but like the idea of being able to view something immediately if I’m researching information. What do you think? Many writers keep a diary or journal, even if they don't write in it consistently. I try to update my journal at least once a week, but sometimes, I only write in it when I'm having a horrible day and I need something to vent to that's not going to judge me or gasp at my choice of bad language. When I have time, I read my old journals and am often surprised by things I had forgotten about or by how much I've changed over the years. Recently, a friend of mine said she was feeling unmotivated and uninspired to write, so I encouraged her to journal. What she wrote wasn't important, just the fact that she wrote. She could ramble and go off on tangents and not make any sense at all--it's her journal and no one has to see it. I've found notes for story or novel ideas in mine; life goals I set for myself; resolutions; and a whole lot of rambling nonsense that must have made sense at the time. I love being able to express myself with no reservations in my journals. I write a lot of things in them I wouldn't say out loud. Just writing it down really helps. It's like having a personal therapist, except you don't have to pay by the hour and your appointment is anytime you feel like it. Instead of a therapist offering insights into your personality, however, you have to discover those insights yourself. If you've kept journals for a long time, go back and read your early ones. You might not only find some ideas and inspiration, you might also find out some things about yourself you didn't know. It seems that prior to quitting my full-time job, writing ideas easily entered my mind. And now that I'm writing full-time, there are moments when the inspiration folder remains empty. How do I generate ideas? I step back and take a look at the world around me.Here are some surefire ways to jump start the idea machine. Did you know the Smurfs turn 50 in 2008? Anniversaries can add clips to your file. Check out Chase's Calendar of Events. Available at most libraries, Chase's lists a multitude of anniversaries and holidays in key years: 10, 25, 50, etc. Chase's is a great place to brainstorm! Thanks to this book, I sold a story about turkeys to a regional magazine and a local daily paper. Any "hot-off-the-press" news in the wonderful world of science can generate ideas. Sites like Science Daily - www.sciencedaily.com - offer daily email updates containing the newest research. By subscribing to this type of service, I sold an article concerning Female Athlete Triad Syndrome to a national fitness magazine. My great-grandfather immigrated from Sweden and my grandmother used to make the best Swedish meatballs. Explore your family's cultural background and you'll find a hope chest of ideas. Or what about the local watermelon festival held each August? How does it impact the regional identification? Festivals, food, and fun associated with cultural events or local color can start a story. I checked into Swedish wedding customs when I got married and that led me to write a series of articles about wedding customs associated with different cultures. Do you keep a file of ideas, articles, or essays? I admit it: I am a clip freak, constantly cutting articles or essay that intrigue me. I file them away - along with thousands of ideas written on Post-It notes -and bring out that folder every few months to sort through those ideas. The last time I flipped through the congested file folder, I came upon some literature I'd received from my doctor about the benefits of cinnamon. I did some additional research and sold an article to a local newspaper. Ideas are everywhere, and even when you aren't looking, inspiration will plant the seeds for writing and nurture them until they unfold in front of you. Do you have a desire to break into print, but don’t know how? Are you an avid reader? Do you enjoy sharing what you read with others? If you answered yes to any or all of these questions, then writing book reviews may appeal to you! Simply put, a book review is a short summary of a book – don’t give away too much of the plot, readers hate that – that includes several important elements. A good review discusses the strengths and weakness of the book, if any. It may also compare and contrast the book. If it is work of fiction, the reviewer may draw comparisons with other books written by the author or with books of the same genre. For nonfiction, a reviewer may draw comparisons and contrasts based on the topic. Good reviews gives readers an idea of which audiences will find the book most appealing. In my experience – I read a lot of book reviews – reviewers often do this using some variation of, “if you enjoyed _______________, then you’re sure to love ________________________,” or “ If you’re a fan of _____________________, then you should try ________________.” Of course, there are many other ways to wet the palate of readers. Be creative. Book reviews should be short and to the point. Most vary in length from 150-500 words. Feature length book reviews may average 1000 words. To be a good book reviewer, i.e. one who is paid to write reviews and is asked to write again, knowing how to write short is a must. Before entering this market, I suggest reading reviews written by well-respected reviewers such as Anita Silvey, Roger Sutton, and Kathleen Horning. I also suggest checking out a book on writing book reviews from you local library – you’ll be amazed at what you learn. The market for book reviews is smaller than it was around twenty years ago. Many national publications have cut their book review sections in half or eliminated them. But the book review is making a comeback. Most local publications have book review sections. You can find them at you local library or at public newsstands. Magazines for children and adults also publish reviews, though the competition may be more intense because these markets usually pay well for them. And don’t forget the online market! Many websites and e-zines are in need of great reviews. So again, if you enjoy reading and love to write, why not get paid for it! The book review may be your vehicle into print. In ‘The Freelance Union’, WOW!’s April ’08 issue, columnist Hope Clark strikes gold once again by offering valuable advice to new writers making their way through the writing business in her column, Funds 4 Writers: Dodging The New Writer-In-The-Headlights Look. What really opened my eyes was the section entitled, ‘When to Argue’, for when you’re online. How many times have you received an email or found yourself scrolling through your favorite forum or chat and someone posts something that leaves you speechless, in a negative way? And, baby, you’re ready to rumble, typing up a response guaranteed to sear eyebrows! But, should you jump into the fray? Hope's answer is no, that it’s never a good time to argue, and offers solid reasons for putting careful thought into your comments before you send them out. For me, a key reason for holding your cyber tongue is to keep from destroying a budding career. Nowadays it takes nothing to Google a name and come up with links to everything that person’s name is attached to, even negative content. That could be a possible turn-off to potential editors, publishers, even future readers. I was looking through one of the many magazines that my wonderful mother-in-law shares with me when I came upon a very interesting article. The article was actually about Books as a form of art. Which as many of you know with the numerous pages we all have written that writing, is an art, it is the art of bringing to life the imaginations of many, putting down our thoughts, our stories, new worlds, so much more. But, what about books that don’t have pages that you can actually read. As of today, the Victoria and Albert Museum in London, England is opening a new exhibit called “Blood on Paper: The Art of the Book”. 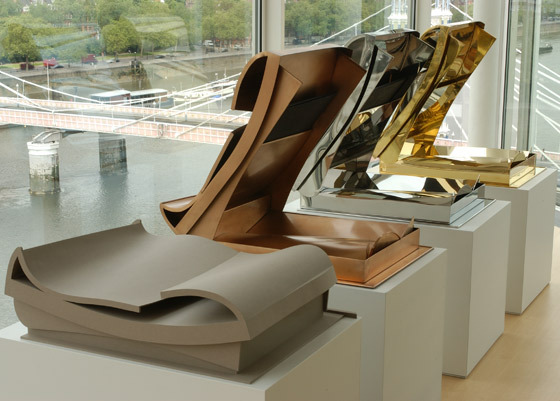 This particular exhibit will not only show case pieces by several early masters such as Joseph Beuys and Henri Mattise, but also some very well known contemporary artists as well like Anthony Caro and Anish Kapoor. The books will be on display from April 15 through June 29, for those of us that can’t hop on the nearest plane and jet off to London, you can view some of the books via the wonderful web. Just to http://www.vam.ac.uk You will be whisked away to London and see the all new exhibit. The site gives information about each of the pieces in the show. The pictures are astounding. If you are interested in reading the article, it can be found in April 2008 issue of Town & Country. The article is called “Look Books” written by Anthony Gardner. Unfortunately, you will not find the article on their website, I have looked. I was hoping that for those of you who would rather save a few trees by reading the online version of a magazine like I do, I could give you a site to check out the full article, but unfortunately, I did not find it on Town & Country’s website. I do apologize for that. We received a contest listing call from our friends at MWLM that we thought you would enjoy! Mom Writer's Literary Magazine is currently accepting submissions for our first-line writing contest, from 3/31 - 5/16/08, with a $10 entry fee. It may be creative non-fiction or fiction and should be between 700 - 1,200 words. The first line of your entry must be, "I knew what I was supposed to be doing, but my desires distracted me..."
The work will be judged by MWLM Editors, and they will choose one grand prize winner to receive $100! I knew about the social networking site StumbleUpon, but I didn’t know about the tremendous traffic it could bring. In the past two days, we’ve seen a huge number of referrals—close to 8,000 MORE Unique Visitors than normal. Well, that definitely caught my attention! You may be wondering, how did you do that? Actually, I didn’t have anything to do with it, but it sure did make me want to find out what people were looking at. From what I gather, one of the members of StumbleUpon added a page from our website to their favorites, and their friends checked it out, and so on. And while that’s fantastic and all, if I didn’t take the time to figure out why this was happening, it wouldn’t teach me anything. Are you in the same boat? Have you noticed traffic to your website/blog from StumbleUpon and didn’t know where in the heck it was coming from? I don’t know about your stats, but I use awstats, an open source standard, and the only thing I could see from the referring address was: http://www.stumbleupon.com/refer.php. If you follow that, it ends up going to a page that pushes for advertising sales. 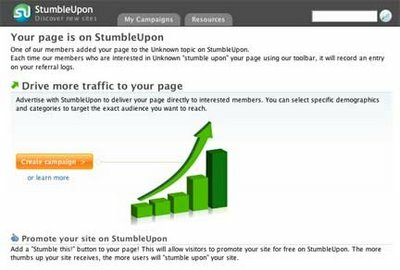 Follow that link (above) and enter the specific URL that is getting the highest traffic and referrals from StumbleUpon. Then you can track who recommended that page, why, and see all their friends, their profile, and whom you are going to need to connect with if you want to keep getting that kind of crazy-awesome traffic. When you discover (or stumble) websites that you like, you vote for them or give them a review. Other users who have similar interests connect to your votes and/or pages and follow those links. You either “discover” pages—meaning you visit websites directly (on your own) and rate them—or you “stumble” on pages—by hitting a button that randomly takes you surfing to a website and you get to choose whether you like it or not. It’s that easy! Make sure you fill out your profile and add your website/blog URL. This will be displayed above your main image (your icon, picture of yourself, logo, etc.) and identify you as the owner of that website/blog. This will also help identify you to others when you are recommending them. Get it? Be nice. Get reciprocation. When you visit a website that hasn’t been voted for before, then you “discover” that website. You hit the “thumbs-up” icon in your toolbar, and a box will pop up asking you to fill out a review for that site. Your review then appears on your profile. TIP: don’t vote up your own sites—as much as you’d like to, that’s pretty obvious! So, vote on other sites where you really, truly like the content and the good karma will come flowing back to you. Trust me! By choosing great content, you are driving people to your profile because they know you have good taste. You can also find websites by clicking the StumbleUpon icon. You then find sites according to your interest categories and can vote on them, or write a review. Of course, you don’t have to give it a thumbs-up or thumbs-down, you can simply hit the StumbleUpon icon again and keep cruising. But the more sites you vote on, the stronger your profile will become, and the more reliable you will become when you vote on sites that are relevant and popular with others. Pretty soon you’ll have a network of sites that you recommend, or don’t, and have a preference list that matches your choices and your target audience. From there, you can enter groups of like-minded individuals—writing groups, blogging groups, etc.—and connect with people who share your interests. 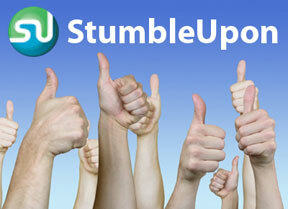 Why is StumbleUpon different from other social networking sites? Unlike myspace.com or other networking sites, you don’t have to ask for friend approval. You simply add friends if you like their content. You can also import friends from your email address book and ask them to join. You will find out all the options after signing up with their site. Now, this isn’t a comprehensive guide by any means—it’s simply just my findings through research of a new phenomenon that has been gracing our website in the past couple of days. So, I’m going to share with you some great links to explore further information: (Bits & Pieces of this post have been gleaned from these wonderful sites, or some of them are just sites that have great information I haven't covered!) Be sure to check them out if you're interested. One thing I’ve discovered about StumbleUpon is that it’s an incredibly fun site! By tapping one button, you move from one site to the next and get to share your opinion with others. It’s inspirational and a unique venue for exploring content on the web. Even if you aren’t interested in traffic to your website/blog, I urge you all to take it for a spin and see what you find! And if you like one of our articles or blog posts here on The Muffin, or on WOW! Women On Writing, hit that little link at the bottom of the post to submit it to StumbleUpon. I bet you’ll have the favor returned. Happy writing, blogging, and social network-swarming! No matter how serene and unaffected you think you'll be, when the reviews of your debut book start rolling in, you need to be ready for a wild emotional ride. I don't think there's a roller coaster theme park in the world that can match the highs and lows. Woo-hoo! Readers say the book is "compulsively readable," "clever and entertaining" and they use words like "superb," "witty," "fascinating," "endearing," and "terrific." You're in the front car, front seat, with your hands in the air, on The Slingshot--rocketing toward the stars with the wind in your face, laughing, flying, and about to take a second lap around the moon. Then, before the exhilaration cools, more reviews come in: "disappointing," "not much substance," "forgettable." 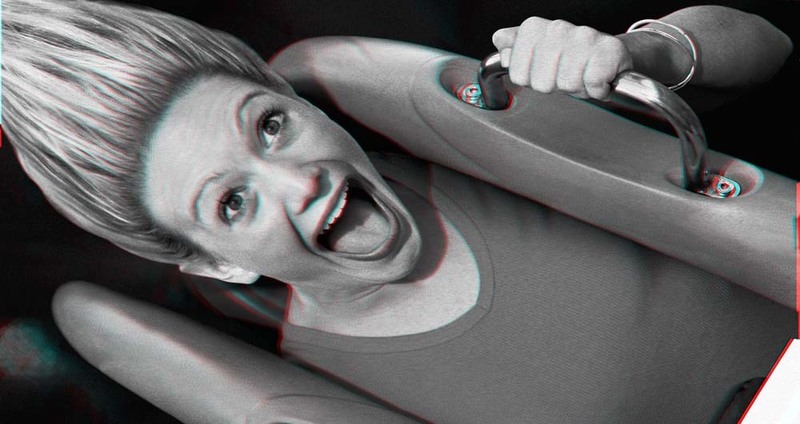 Welcome to The Death Drop--where you are the only rider aboard, frantically trying to brace yourself in a seat with a broken safety buckle. The car is pushed to the edge of a precipice and you find yourself free-falling with your stomach lodged in your throat and no chance to catch your breath. And so it goes on The Yo-Yo ride. Up and down: happy, sad, elated, depressed, confident, worried, thankful, irritated--until finally, you decide to trade in your E-tickets and climb on the Whatever Tram. It's not an apathy ride; it's smooth and Zen-like in its simple acceptance and understanding that you can't please everyone. All you can do is put your story out into the world. Some people will embrace it, others will not, and that's okay. You have new stories to tell and your characters need your emotional attention. What makes you read fiction? Is it the pretty cover, the back cover copy, or the characters and plot? Most would answer the plot, and what makes up a good plot; conflict. All great novels contain strong conflict. It’s the internal and external conflicts the characters are facing that drive us through to the last page. But how do writers keep the conflict strong and realistic through the course of a novel? The second key to creating conflict is dialogue. My husband and I get into more arguments over how we speak or interpret what we say to one another than anything else in our marriage. This is because individuals bring their own experiences and expectations to any conversation, and if people don’t understand each other that can cause endless pages of conflict. In Donald Maass’ book Writing the Breakout Novel, he spends a lot of time discussing conflict, because it is the driving force behind plot. In one of the exercises Maass asks you to take your character and define what that character wants most. Then he asks what would happen if your character didn’t obtain his goal? Then taking it further, ask what would make this worse, and what would make this loss of goal matter more than life. These are great questions to ask when trying to develop conflict. Maass also assigns a test to the flow of conflict in your novel. The test being once you’ve printed out your completed novel throw all the pages in the air and let them scatter to the ground. Then sit down and pick up page by page and see if that page has conflict. If not consider cutting that scene. Cause if conflict isn’t driving your plot forward than your novel will fall flat and not engage the reader. One thing to be weary of when developing conflict in your novels is to keep things realistic, even in Sci-Fi and Fantasy. No reader enjoys cliché conflicts, or the situations that always lead to the worst that can happen. You have gauge your WIP so that your conflict makes sense with what your trying to accomplish and not just constantly creating the worst case scenario. Remember conflict is what is going to drive the reader from page one to the end, so keep it real. As women, we already have a corner on the emo market. Actually, if you are anything like me, you can pretty much set a clock (or at least a calendar) by exactly when your mood swings are about to reach E-ticket carnival ride proportions. Something someone says, something you read, something you see, can trigger an emotional response. The key is to find a way to understand and use your emotional hot buttons. Once you recognize what stirs your thoughts, your ire, your passion--then you can begin to craft those emotional hot buttons into your stories and use them to create the same feelings in your readers. The same technique with a slightly different angle can be used when you apply it to marketing. Analyze the things that make you respond positively and negatively to things like advertisements and book cover copy. Once you figure out what makes YOU want to purchase or read a book, then you'll be able to craft your marketing materials to appeal to other readers in the same way. Marketing expert, Penny Sansevieri explained it well in a recent article that I will share with you. I talk a lot about "tapping into emotional hot buttons"--so much so that in a recent class I taught an author stood up and said: "Ok, enough already! Everyone talks about emotional hot buttons but what are they?" Good question and I suspect it's one many of us in marketing forget ourselves from time to time. So let's look at some of these emotional triggers. What makes people buy, read, or join whatever it is we're selling. We want what we don't have. This is pretty basic. We want what we don't have. We want more money, we want to be fitter, healthier, sexier, smarter. Some of us (ok, most of us) want more time. We also desire to be popular (come, admit it, even the most modest of us desire popularity). We want more security but we also want to have more fun. We want to be smarter and with all the data out there, we want to be "in the know." We want to keep what we have. Once we have whatever it is we desire, we want to keep it. Books on keeping relationships strong, keeping marriages working, staying on your diet, keeping the weight off, keeping your job, whatever it is—these thousands of books are a testament to the fact that once we have what we want, we don't want to lose it. We want to avoid stuff we don't like. Let's face it, we've all 'copped out' at some point or another. We want it the way we want it and the icky stuff, well, let's avoid that altogether. How can you help someone avoid doing stuff they don't like? Thousands of books have been written on this topic. Everything from reframing, to repositioning a particular topic, even less painful ways to end a relationship. We want to be liked. It's a pretty standard human emotion. We want to be liked, or at the very least respected. Being 'in the know' makes us liked, doing and saying the right things in social situations makes us likable. While some would argue "I won't sell my soul to be liked," it's still a very strong thread in our culture. From buying the right shoe, to purchasing the right house. We want to be liked or rather, like everyone else. We want to be unique. On the heels of the above statement this may not make sense, but in a world of sameness we also want to be unique. Not so unique that we're walking down the street with pink hair (with all due respect to my fabulous hairdresser who from time to time dons a pink-do), but we want to be seen as individual, and independent. You'll see a lot of this in car commercials. The next time one of the car manufacturers is trying to sell you a car on TV, watch the ad closely. In not so subtle ways they'll tell you the car is what everyone else wants or has, and yet at the same time it has your own personal thumbprint of uniqueness. So now that you know what emotional hot buttons are, how to do you tap into them? Well, first off find out what your book does for the reader. Whether fiction or non-fiction it doesn't matter. There's always an emotional trigger that gets someone to buy something. We all buy from emotion, it's that simple. So figure out what the emotion is (and there might be several), and then tap into that emotion. You can tap into an emotion through engaging words on your website, through blog postings, ads, a video trailer of your book, whatever it is, if you're not pressing their buttons you're probably not making the sale either.